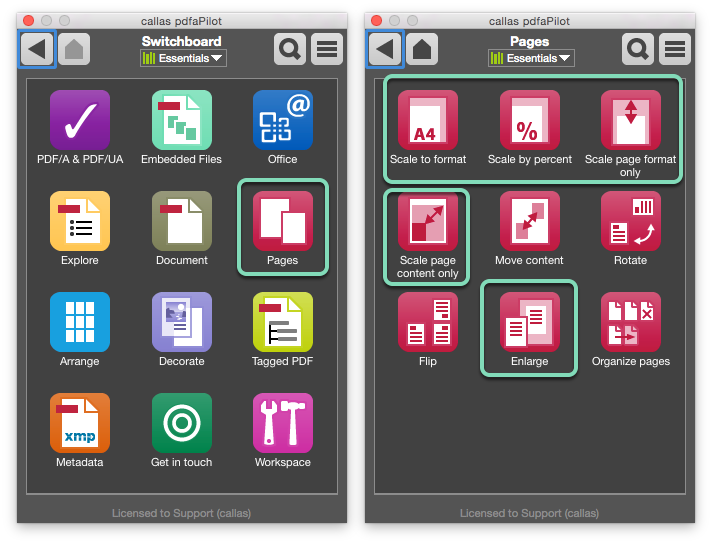 pdfaPilot’s Pages Group offers a range of options for scaling page content and enlarging page regions. This article will provide a brief overview of these Actions. 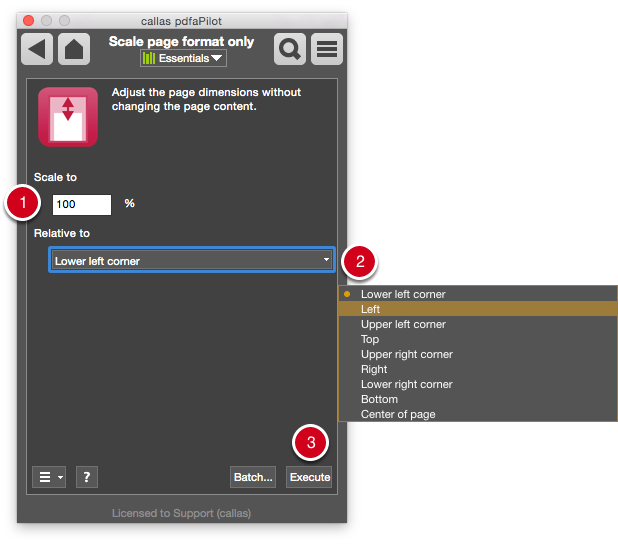 Numerous scaling Actions can be found under the Pages group. The Fit to menu provides an extensive list of international standard formats to choose from. The Adjustment menu provides a range of ways to compare the page content against the page, in case the original document’s height-width ratio is different from that of the document to be created. Click the Execute button to begin processing. The input document measures 21 x 29.7 cm = DIN A4 format. 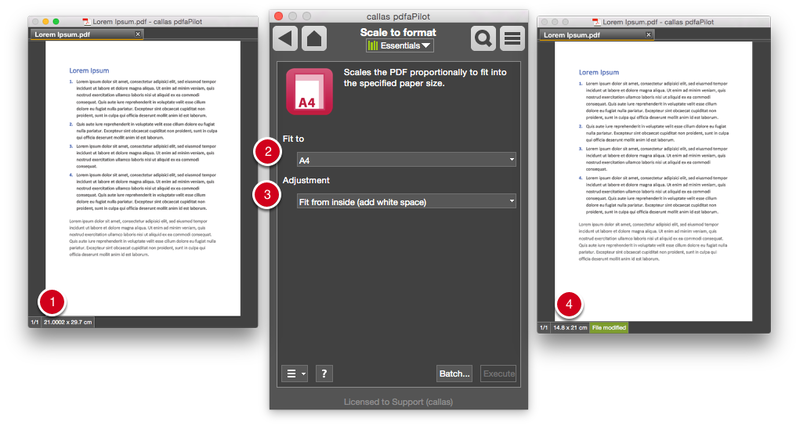 The dimensions are shown at the bottom left of pdfaPilot's document window. In this case, the target size under Fit to is DIN A5. 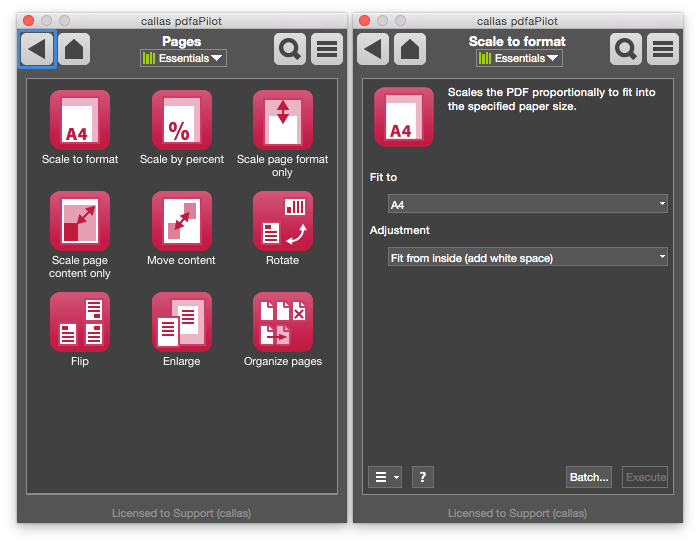 The converted PDF document measures 14.8 x 21 cm = DIN A5. The Scale to field lets you enter the desired percentage. Here, the Scale to value is set to 75%. 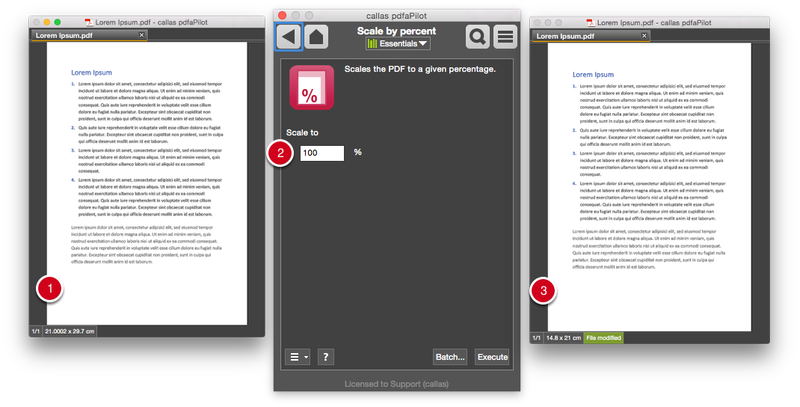 The converted PDF document measures 15.75 x 22.27 cm = 75 percent. The input document is in DIN A4 format. Here, the Scale to value is set to 150%. Relative to has been set to Bottom. 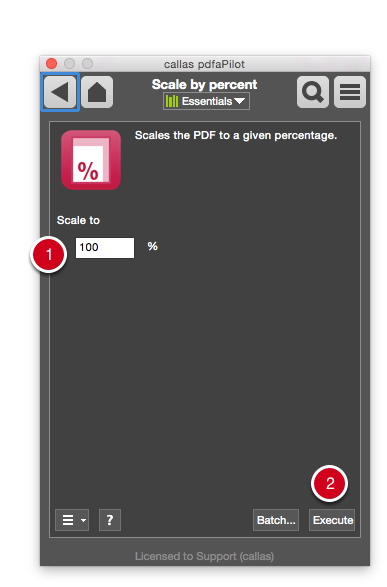 The converted PDF document measures 31.50 x 44.55 cm = 150 percent. The original page content has not been scaled; instead, white space has been added relative to the reference point. Relative to is set to Center of page. 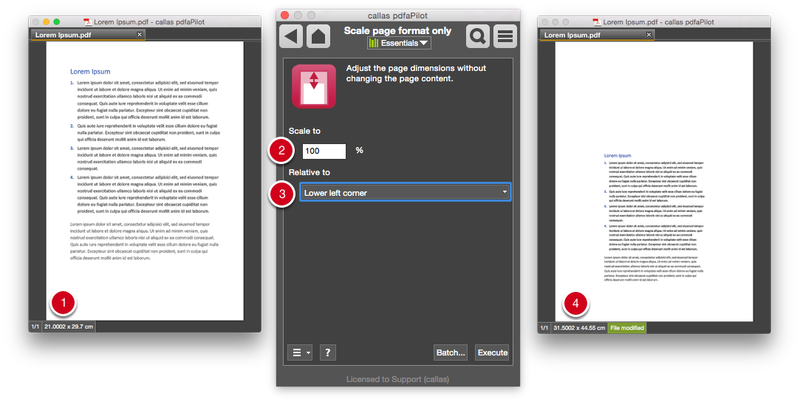 The converted PDF document remains in DIN A5 format. 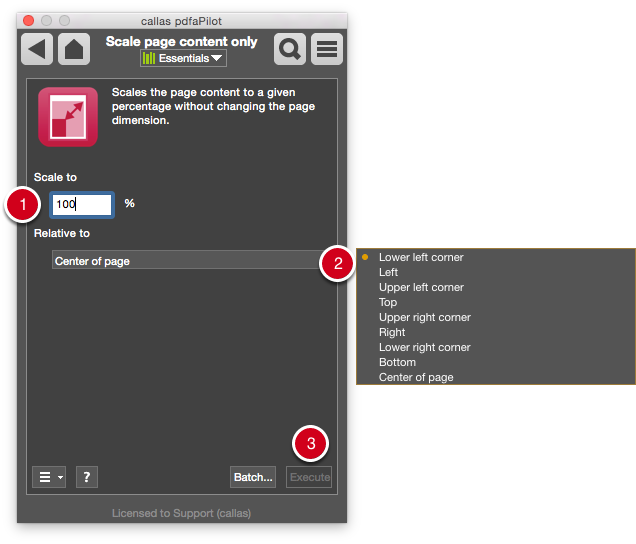 The page content has been scaled by 75 percent relative to the center of the page. 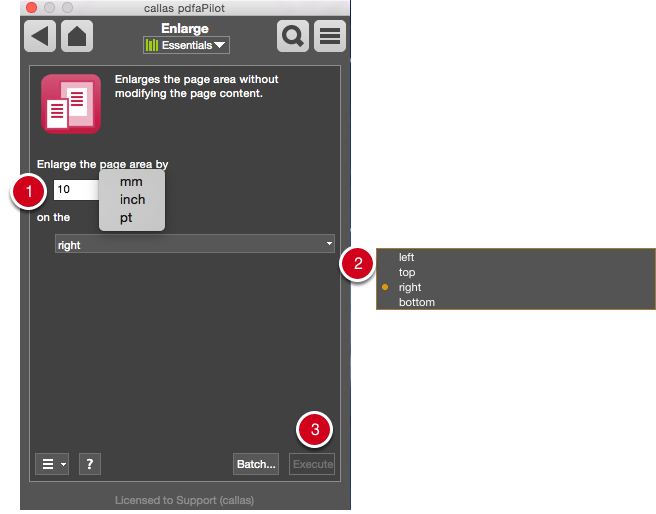 The Enlarge the page area by field lets you enter the desired value in mm, inches or pt. The value under Enlarge the page area by has been set to 50 mm. It is being added on the left side. 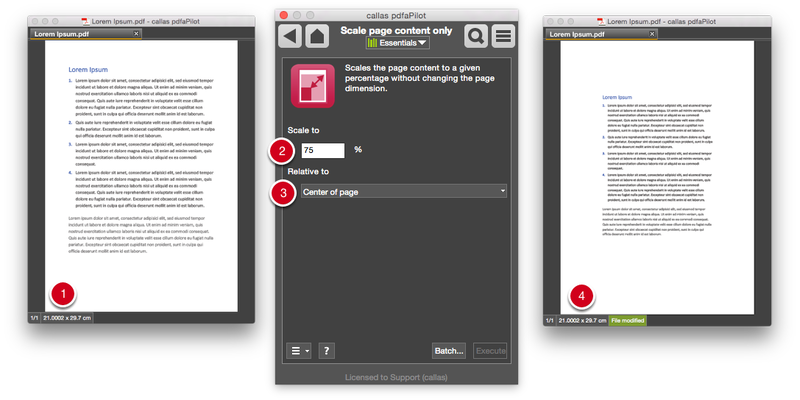 The converted PDF document now has an extra 50 mm of space on the left side.